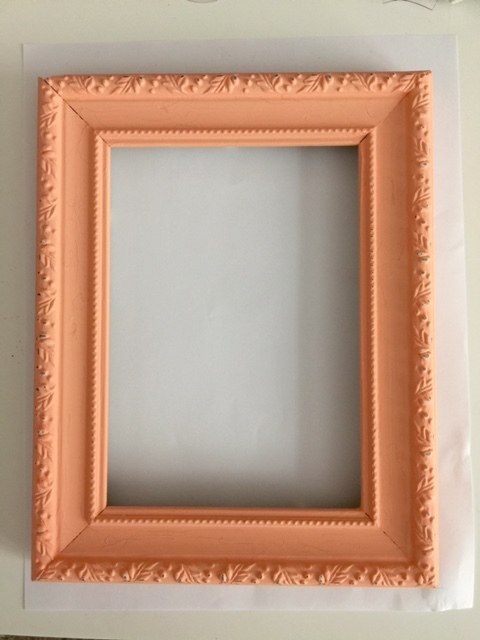 Step 1: First I painted the frame in the Soft Jade color. You can see that I had painted it a pretty coral color first but I felt like it was too strong of a statement for such a small piece. The jade color will tone it down a lot. I did a couple coats.